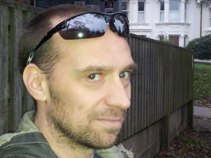 Hello, I'm Jason and I'm a web developer living and working in Brighton; a city on the south coast of England. This site is primarily to experiment with web techniques. You probably won't find too much of interest here, unless you are an obsessive fan of Pop will eat itself. On this page I am experimenting with html5 and so have used some layout kindly provided by Dave Woods as a starting point. I'm going to mess around with the CSS3 multi column layout. Pop will eat itself, pwei or the poppies formed in the mid 80s; composed of members from in and around Birmingham; they started out originally as an indie band. Pop will eat itself changed direction and used samples to create an alternative sound. The poppie split-up in the mid 90s. In 2005, PWEI reformed for a series of gigs in London, Birmingham and Nottingham. In 2011, pop will eat itself reformed with a new line-up, tour and new album New Noise Designed by a Sadist. Ich Bin Ein Auslander was one of PWEI's more serious songs about the rise of the right wing in Europe. Here is the song being performed live in October 2011. I work mainly with PHP, Oracle (SQL/PLSQL), MySQL and am currently producing SOAP based web services using J2E (Java Enterprise) including EJBs (Enterprise JavaBeans) and JPA (Java Persistence API).